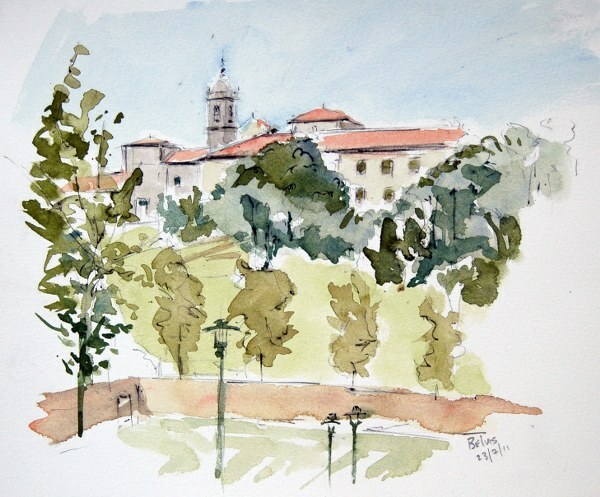 This series of paintings is from Galicia in northern western Spain and the city of Santiago De Compostela, the focus of the famous " El Camino De Santiago" the "The Way of Saint James". 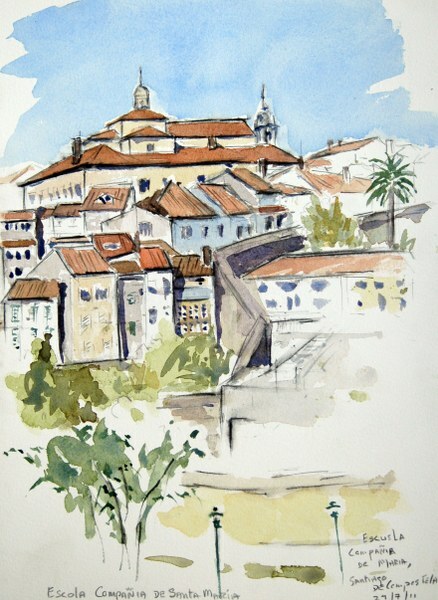 A pilgrim route for over a thousand years which featured in the Martin Sheen film "The Way" which showed the "The French Way" but there are many outer routes, from the south of Spain and Portugal as well as from Germany and Italy traversing Spain from many directions to Santiago De Compostela. 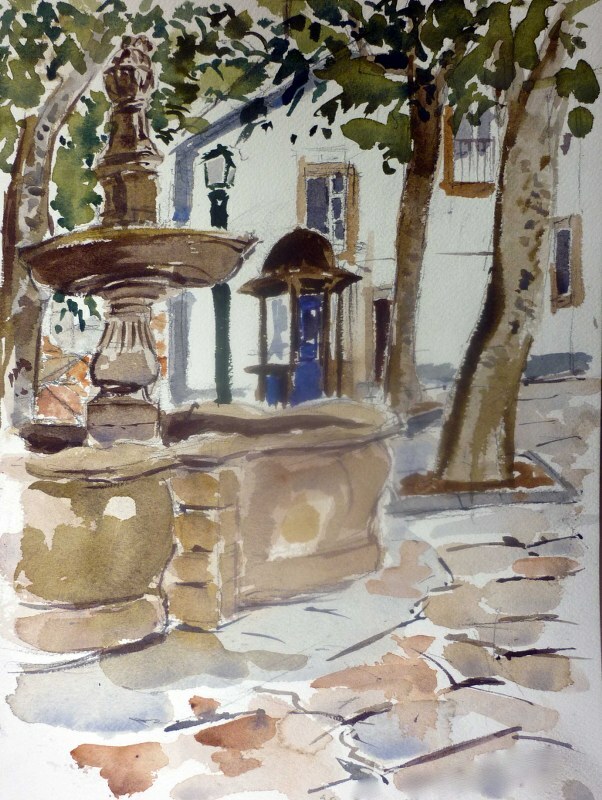 Watercolour, 23 x 31 Cms. 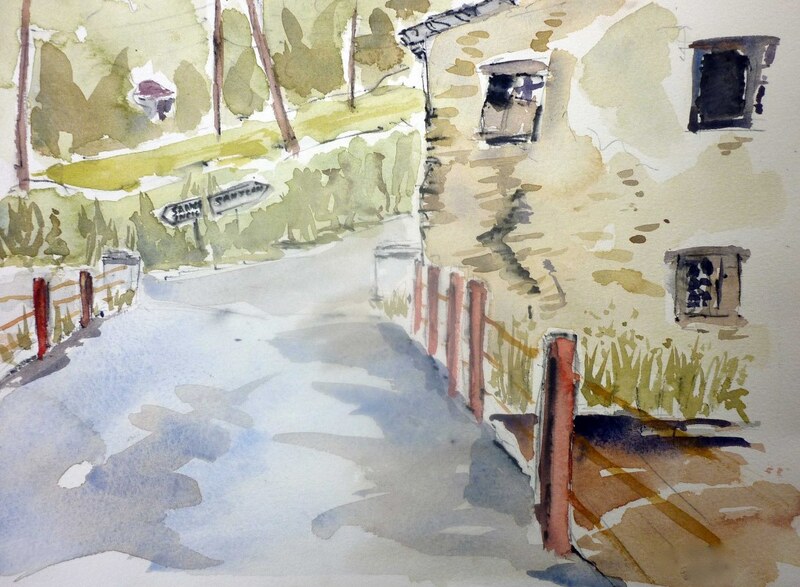 Waytercolour, 23 x 31 Cms. 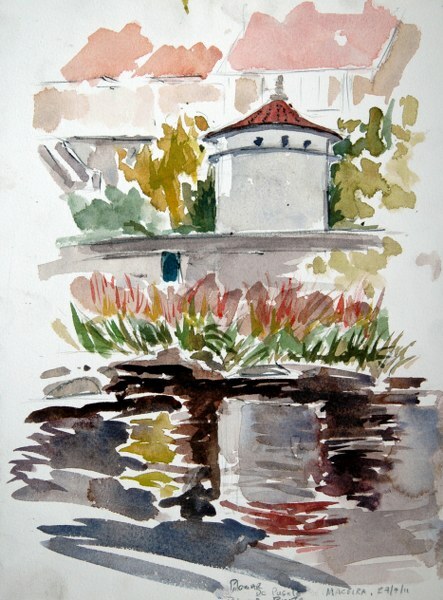 Watercolour, 31 x 23 Cms. 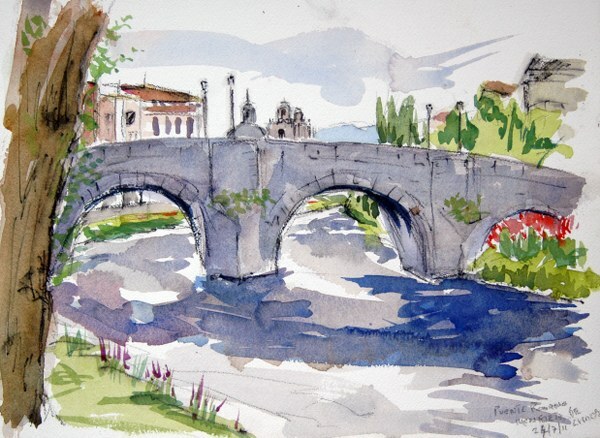 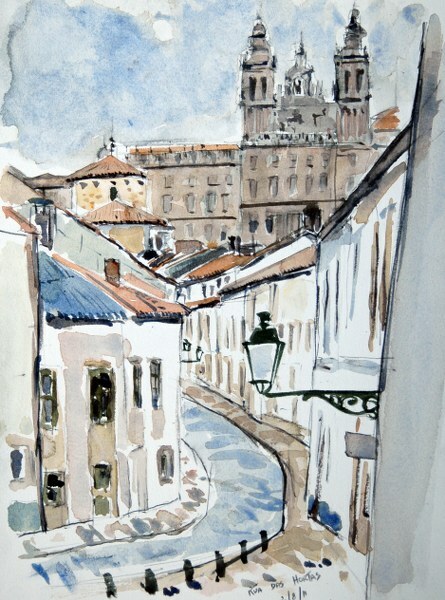 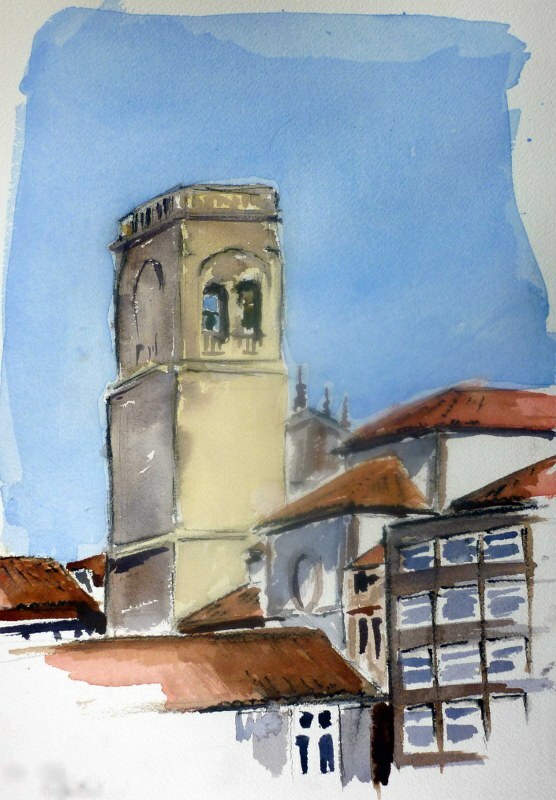 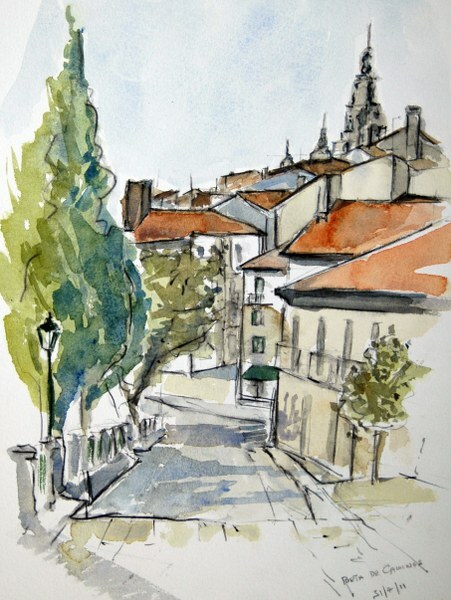 Santiago De Compostela, Watercolour, 31 x 23 Cms. 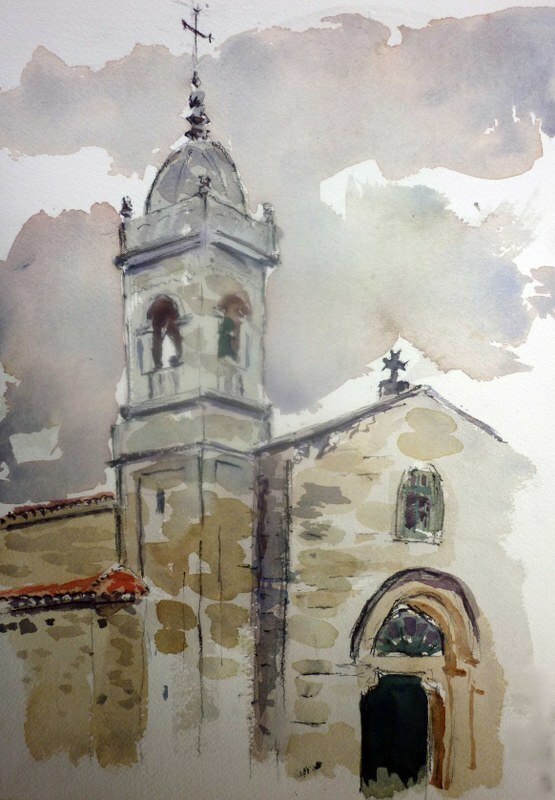 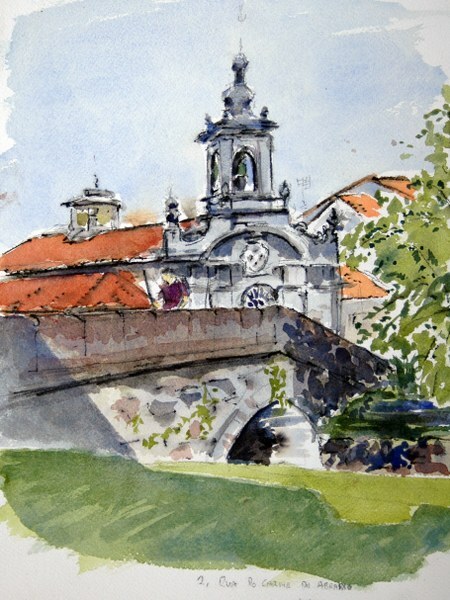 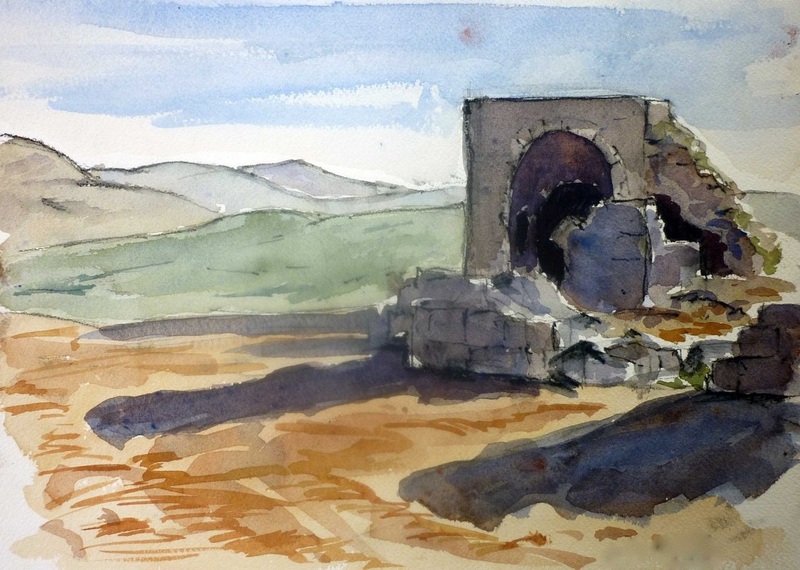 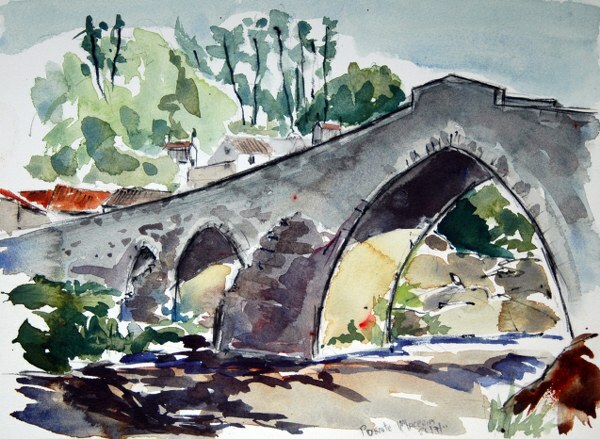 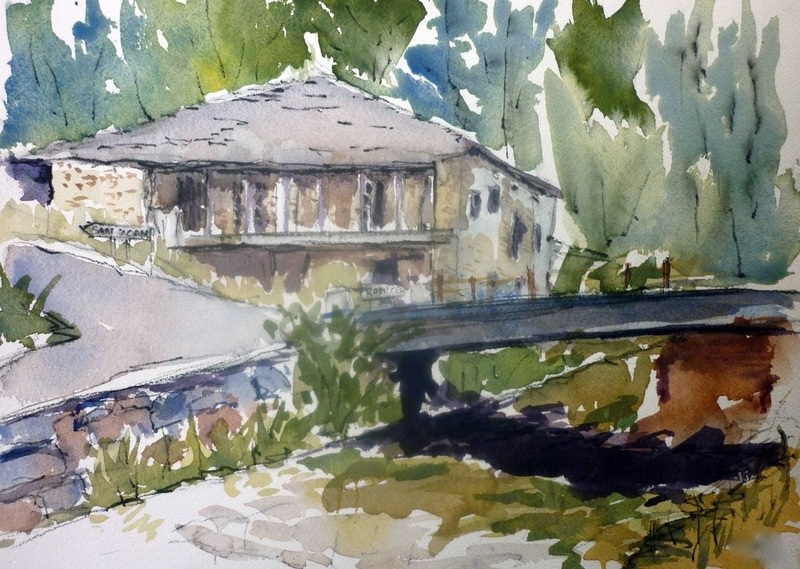 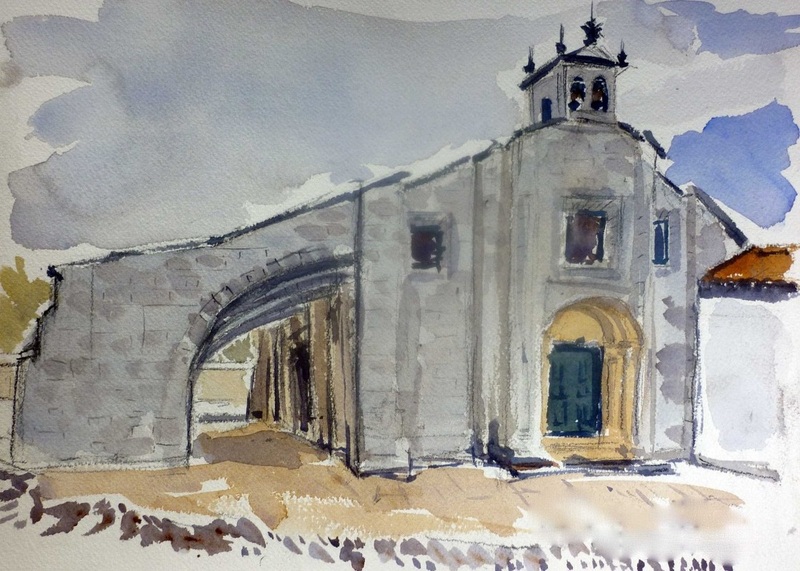 Palomar, Santiogo De Compostela, Watercolour, 31 x 23 Cms. 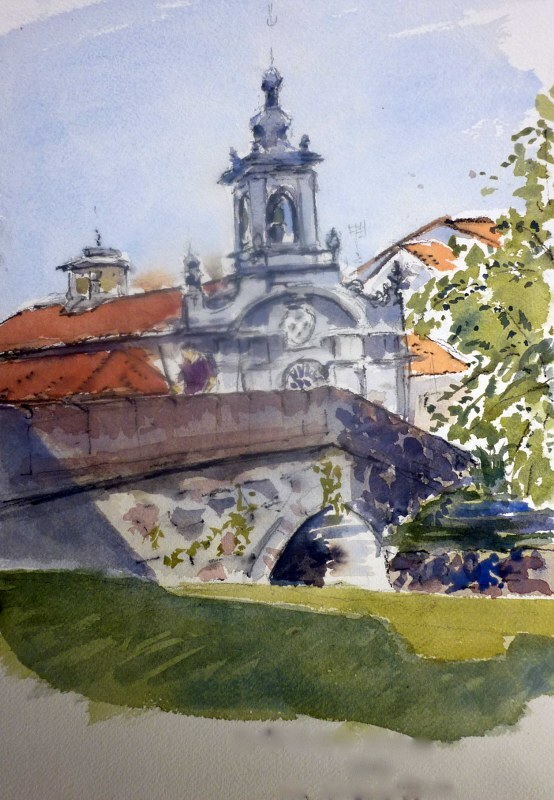 Santiago De Compostela, Watercolour 31 x 23 Cms.